This is going to be the greatest blog post you have ever read. Confidence in your idea is important, but everyone has their doubts. You could start promoting your business right away, but it often helps to ask yourself a few questions before sharing your idea with the world. Run your idea through the questions below to make sure it’s ready. If it passes the test, get your idea online with a domain. Online success starts with a great domain. If you have a great idea, choose a domain and get your business online. Are you solving a problem that needs solving? Some ideas aim to solve a big problem in the world, like battling our current dependence on gas-driven cars by re-inventing the electric car, while others target much smaller problems, like keeping warm while reaching for the phone. Laugh if you want, but my father still wears his Snuggie. Often times the simpler the solution to a problem, the better. If you need customers to buy multiple products, all with complicated instructions, just to solve a simple problem, you have more product development ahead of you. It could be as simple as a backwards bathrobe or a car powered by the sun. Will you be able to make a profit (and maybe a living)? Every entrepreneur wants their idea to be a success, but they also want that success to happen to them. Without a profit there’s no chance to go full time and give your idea the focus it may need to scale. Even nonprofit organizations need to keep the lights on with a steady stream of donations. Carefully look at your margins before launching your idea to double check that your business can stay in the black. Is the price reasonable, and does it allow you to build a profit that you can reinvest into the business to help it grow? Compare competitors to make sure the price won’t scare customers away and work to keep your costs down along with that price. Can the idea grow into a scalable business? 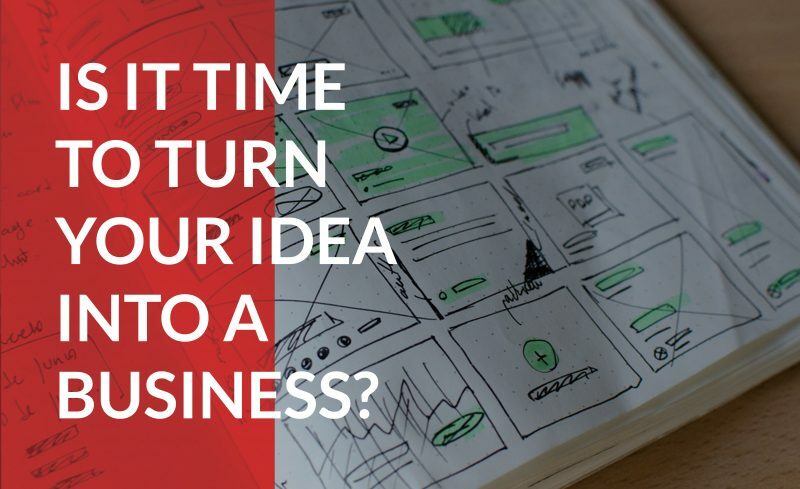 After you’ve started selling to an initial audience, where can your idea go from there? Checking to make sure your business can scale beyond your garage will make sure you’re not investing in a dead end with no growth potential. The easiest way to scale your business is to plan for it to run without you. Your business needs you now, but the sooner the reins pass to qualified staff, the sooner you can focus on expanding. If Steve Jobs didn’t start letting other software designers build his products, his vision would have never left the garage. Create a plan that lets you step away from the day to day and start thinking bigger about the future of your brand. The internet is so valuable for small business owners and entrepreneurs because it allows them to test an idea without too big an investment. If you’re confident the world needs your idea, then put it online. A domain is a simple way to get started online to test the waters. Once you’ve purchased a domain, create a simple marketing strategy and closely monitor your traffic. Even a simple content marketing strategy and social media platforms can start to grow your idea without an investment in marketing dollars. If you’re struggling to find anyone interested in your product or services, you may need to reevaluate your initial idea. Confidence in your business is important, but it helps to make sure you’ve strengthened its weak spots before someone comes along looking to poke holes in it. Before you start promoting your business, even if you think it’s the greatest idea ever created, ask yourself a few questions to make sure it’s ready to be shared with the world. Online success starts with a great domain. If you have an idea, choose a domain and get your business online.